Minister of Industry, Tony Clement. For those of you that are not Canadian, or just don’t follow politics. 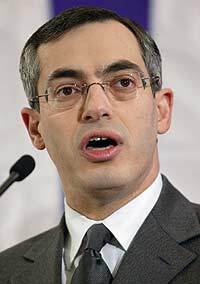 Tony Clement is the federal Minister of Industry, and he came in swinging earlier today to save a lot of internet users from gross charges brought about by the CRTC. Thank you Mr. Clement. The CRTC decided to approve usage-based internet service to wholesalers that was being requested by Bell Canada. This would mean that users like myself that is privy to a lot of downloading would be face with an internet bill in the hundreds every month. Netflix customers would definitely be hit hard by this new policy, anyone that essentially uses the internet for anything other than just casual browsing. This is something that could’ve been implemented back when 28.8kbps modems were all the rage but in today’s society when even the average user is comfortable watching movies and downloading music from the internet. I mean, if you watch a couple of Netflix HD movies here, and download an album there you are already at your cap and every time you check your e-mail you are progressive being charged more for your service. Mr. Clement you are a godsend to your constituents and although I have traditionally tried to stay on the fence when it comes to politics I am in your debt sir. Before leaving St. John’s Rogers was implementing their usage-based billing system. I was sent a preview one month with my bill showing me how much I would’ve been charged under the new system. All of a sudden my $60 bill, would have costed me between $700-$800. I do a LOT on the internet, I’m sorry. I’m just one person, people with small businesses running out of their homes could have an even higher usage charge then that. Bandwidth limit is not a viable way to charge consumers for this kind of service, it isn’t even close to being justifiable. The money that ISP’s are making with their current rates are enough to make them wealthy beyond most industries in the country. So, in short I want to say, Thank you again Mr. Clement. You are a saint and scholar sir! 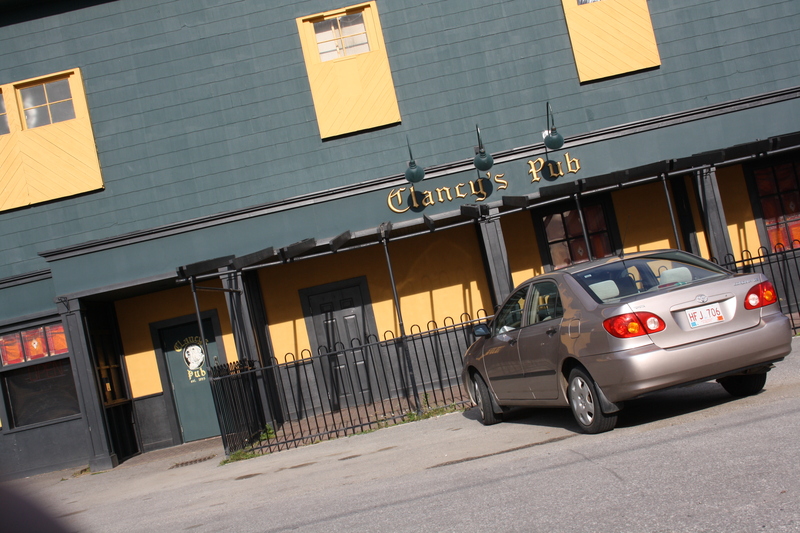 Since this is the 100th post and it should be something special, I’m going to use the end of it here to let you all know that the roommates and I will be putting off a show at Clancy’s Pub on the 3rd of March. I’ve spent a lot of the last 6 months thinking about Kelly, and missing her immensely to the point where it started driving me insane. It’s been going on 9 years and she’s still on my mind. So the revelation I had about a month or so ago was that I am going to finally lay her memory to rest and try to move on with my life, so I’m going to play a show. It’s going to be dedicated to her, and will be right before the kick off to CNA’s mid-term break. This is going to be my first, and quite possible, last show that I ever really play in public. I feel like I lost the passion I had for performing, music is still there but performing is not so much. I think I’ll need some kitchen parties to recapture it.. oh well in the meantime like I said, I hope I can see you guys out. Another reason I’m putting it here is because I’m asking for some help. Song ideas are welcome, we’re trying to finish off a set list for the show. But also, we need a name. The “band” consists of Me, Jawsh Nickerson and Johnny Pardy.. so feel free to share any ideas. Its great when politicians listen to what the people want, regardless of what their political affiliation is. Had the usage based billing gone through not only would it have affected the pocketbooks of individual consumers, but also would have damaged technological innovation in Canada. Its already hard enough for someone to start up a tech company or get their new idea rolling, and if they would have been charged a significant amount more due to their innovation requiring bandwidth, then where would the incentive be for them to move forward with it? I’ve been doing a lot of reading about technological growth lately, and all signs point towards technology growing exponentially. This means that tech. advances double at increasingly shorter timeframes, and the UBB would have potentially left Canada in the technological stone age while the rest of the unlimited bandwidth world had the room to advance without having to mortgage their future to do so. So yes hurray for Mr. Tony Clement!